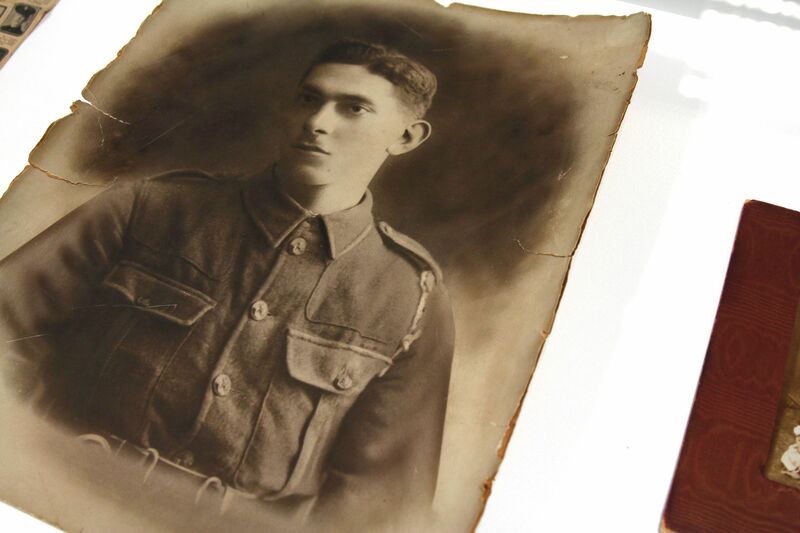 Sarah Kogan is a Hackney-based artist whose Great Uncle fought and died on the first day of the battle of the Somme. During his training and posting to France he was a prolific letter-writer and sometimes wrote three letters a day, explaining the war, sending jokes and drawing pictures. These letters have been kept in the family since then and Sarah felt that they needed a wider audience. She won an Arts Council grant and for the next two years created an amazing exhibition at the National Archives – the first of its kind – which showcased the letters, alongside her artistic response to them, and photographs from the Front. 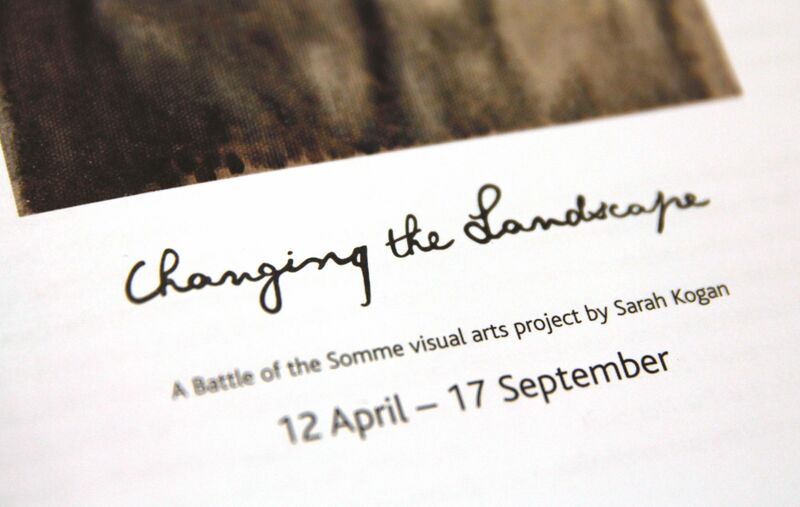 Sarah asked us to design a logo for the project when she was applying for funding and we were delighted to help. Very early on we decided that the best solution – rather than some clean simple sans serif font which would look lovely but without personality – would be using her Great Uncle's handwriting. 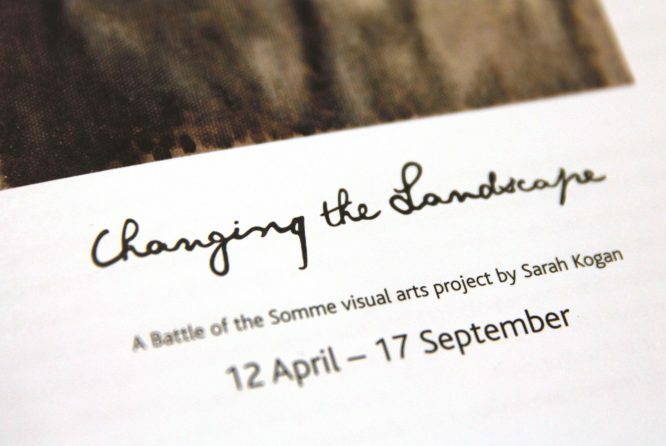 It took quite a lot of trawling through his letters to find the words "Changing the Landscape." We did pretty well, and with a fair bit of stealing his handwriting from various words, we stitched together the name. 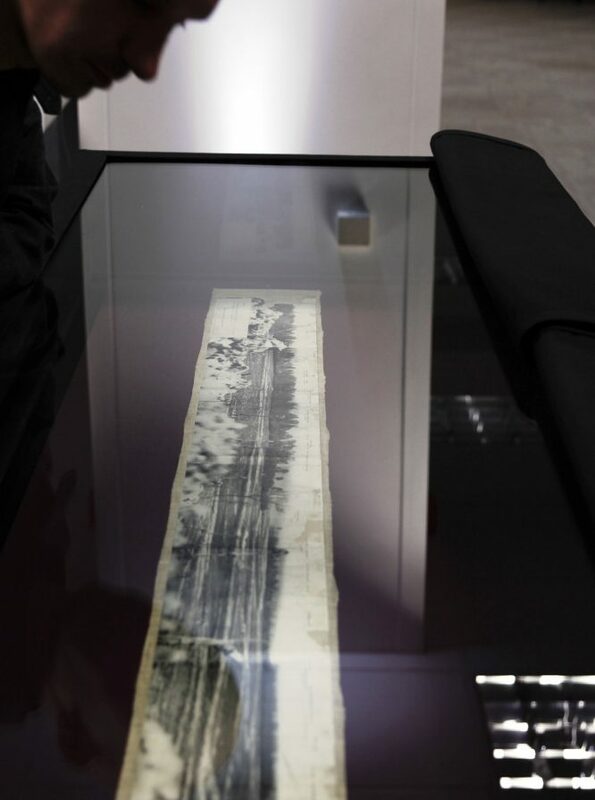 We are really happy with the result and were proud, two years later, to see it used across the whole exhibition. If you are able to get down to the National Archive, it is on until September 2016.